With over 14 years of experience, your popcorn ceiling removal project is sure to be done right by the CEILING SPECIALISTS. We have trained certified specialists, ready to serve you from all corners ranging from NEWMARKET to downtown TORONTO to OSHAWA to MISSISSAUGA. 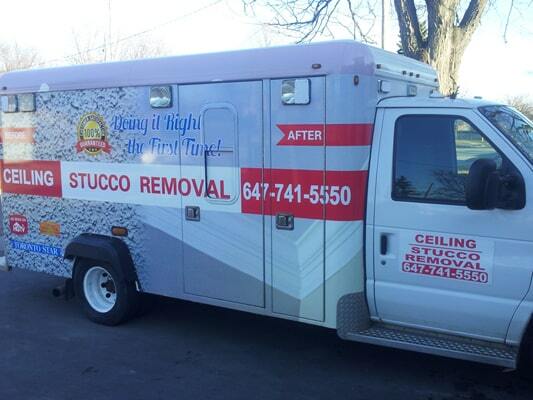 We are dedicated to providing our customers with quality stucco removal and painting services. We can remove your outdated popcorn ceilings and replace with a smooth finish, remove outdated wallpaper, paint your entire home. When you need a company with years of experience and a company you can depend on and trust, we say you can depend on us. Popcorn ceiling removal is not cheap, but not expensive either. We have mastered the removal process and have been able to lower our prices to meet the more stricter of budgets. Many times, our crew mostly based out of NEWMARKET can complete your popcorn ceiling removal and re-texture in as little as one day! When your ready to remove your popcorn ceilings and obtain a competitive quote by a company that has been in the business of removing popcorn ceilings for over a decade, well then you are at the right place! 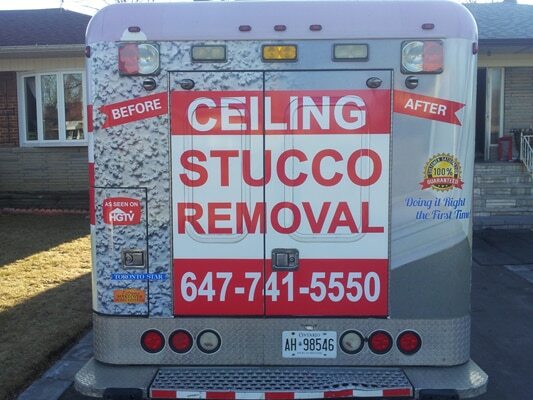 We specialized in acoustic popcorn ceiling removal as well as water damage repairs. We provide work of the highest quality at the most reasonable prices you will find. Put us to the test with a free estimate! The majority of our work is based out of NEWMARKET, AURORA and RICHMOND HILL. 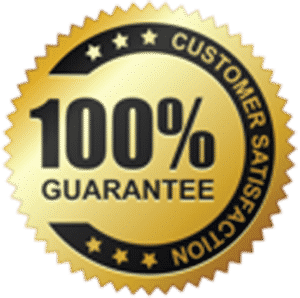 Best of all, our quotes are guaranteed! Absolutely no hidden charges. We require no deposits as we are confident in the quality of our workmanship. We currently have three homes for viewing in the NEWMARKET area. These are customers homes who are willing to show potential customers our ceiling work. That’s how pleased they are!! !